If you follow us on Instagram you may have seen we had a bit of a scare at our Skyline Project this weekend…We walked in to EVERY built-in in the entire house along with overspray on the walls and floors being painted completely black. I just about pooped my pants. The plan has always been for the kitchen cabinets to be black, but everything else was to be white. The black cabinets are going to be the statement in the space. I love the bold contrast with white surroundings. Thank God everything is fixable...especially paint. Chris Loves Julia has been one of my favorite design blogs for a while now. They have such a unique style and share ALL their sources. Their kitchen cabinets are from IKEA. You can read about their experience with them on their blog! 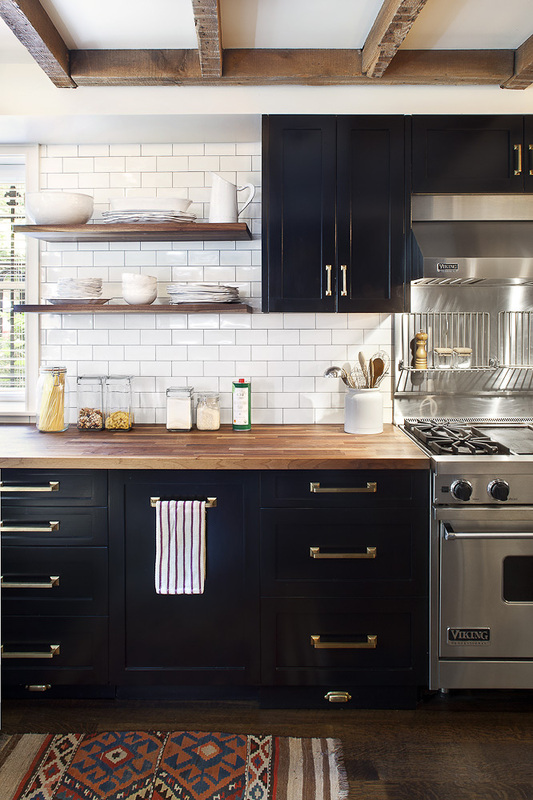 I love the black cabinets teamed with warm wood elements. It creates such a homey feeling in a space. Even the queen of white has executed black in such a sophisticated, modern way. 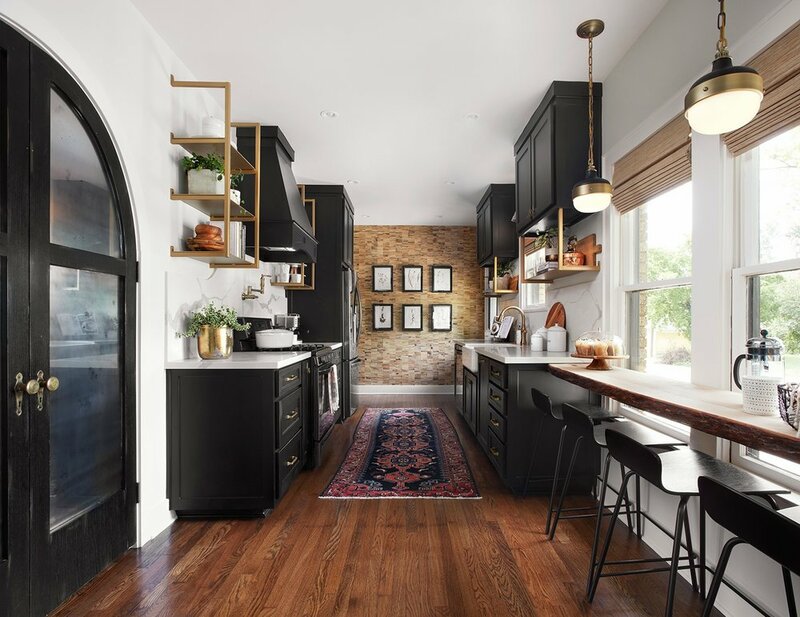 She also used black cabinets in their bed & breakfast and staged kitchen in the Magnolia storefront. Do you have good natural light? I wasn’t afraid to go dark because we have giant windows in the living room that opens to the kitchen. If you’re lacking natural light your kitchen might end up looking more like a dungeon from the Game of Thrones....No one wants that. Black is a little more challenging when picking paint than white. It’s similar to a gray where the undertone can really show through depending on the lighting. I’ve seen many blacks read navy or green. I chose Caviar by Sherwin Williams. To me, it looks like a true black. I also really like Black Magic by Sherwin Williams. 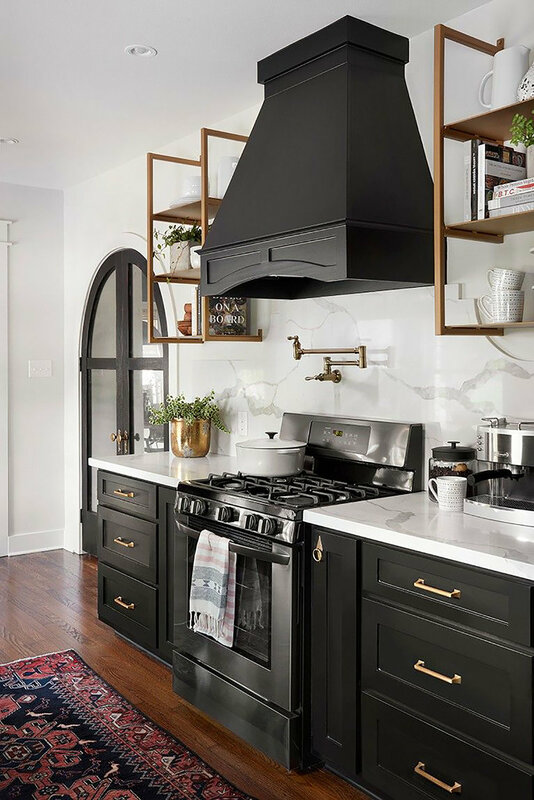 We used Iron Ore by Sherwin Williams for mom’s “black” island and it’s a little more charcoal than black which is perfect for her design. 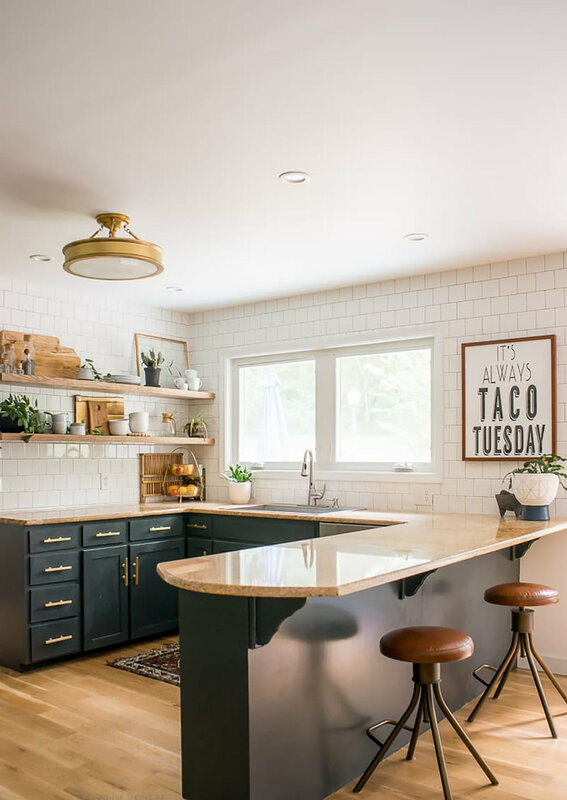 What are your thoughts on black cabinets? Are you brave enough to try now that you know even JoJo’s doing it? Share in the comments below! We love hearing from you.